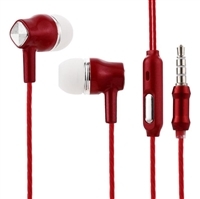 Are you looking for headsets and headphones for sale online? We are your home for the wholesale headsets you’re seeking. 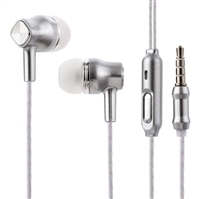 Available in a variety of styles and earbuds from many top manufacturers, we help treat your customers to quality products. Our wholesale prices and ability to buy your headphones in bulk add value to your order and provide you with an exceptional experience. Whether you run an e-commerce business, own a brick and mortar store, or operate a kiosk in the mall, we have exceptional deals that provide you with quality prices so your customers can have options when it comes to their headphones. Every order is customized to meet your exact needs. Do you need a certain amount of red, blue, black, or white headsets? We have top sellers and wholesale Bluetooth headsets as well, so you’re able to mix and match your order, getting the products you need at a price that fits your budget. Your customers are searching for comfortable earbuds or headphones while they’re at the gym, on their commute to work, or listening to music in a public place. Our quality products are available at wholesale prices, and you can buy as many as you need for your shelves. Let your products set the trend for your customers. Many of our customers see these headsets fly off their shelves and generate a high return on their investment as they buy in bulk at wholesale prices. Our goal is to provide you with the products that attract your customers. From quality designs to durability and bass-driven sound in many of our products, you’ll see that our headsets for sale in bulk are eye-catching and appealing, available at prices that meet your budget. If you are unable to find a product or headset that you’re looking for, contact us. Our top priority is customer satisfaction, and we work diligently to accommodate your needs with customized orders. When your order totals over $300, you will receive free shipping.